With more than 200 fields located within district boundaries, THPRD is a huge supporter of youth soccer. Visit our activities guide to find youth soccer classes and camps, or read on for more information about competitive leagues. League play is available for boys and girls ages 5-18. 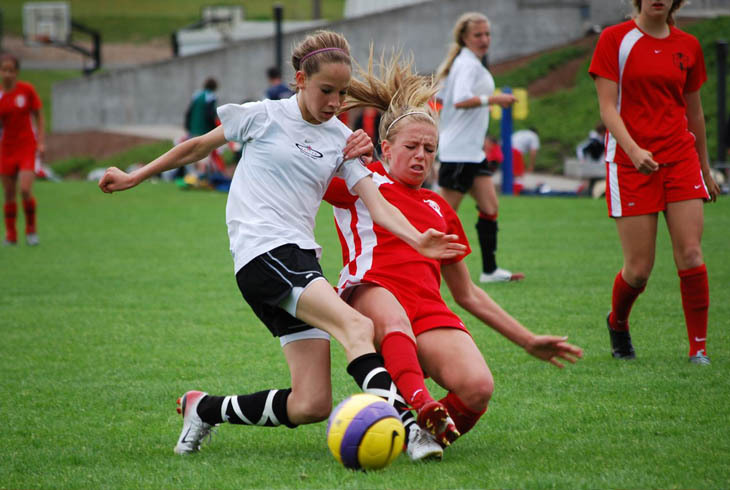 Registration for youth leagues is managed independently by local soccer clubs throughout the area. These clubs are organized by Beaverton School District school attendance area and coordinated by the Tualatin Hills Junior Soccer Recreational League. Registration is generally accepted from March 1 to June 1. Practices begin in August. League games begin in September. Each club is responsible to register its own players. Please call the appropriate contact listed below or log on to www.thjsl.org for more information. Aloha Huber Park, Beaver Acres, Cooper Mt, Errol Hassell, Hazeldale, ISB, Kinnaman, Nancy Ryles, Scholls Heights and Sexton Mtn (west of Murray Blvd). Barnes, Bonny Slope, Cedar Mill, Ridgewood, Terra Linda, West TV and William Walker. Findley, Jacob Wismer, Oak Hills and Sato. Bethany, Elmonica, McKinley, Rock Creek and Springville. Greenway, Montclair, McKay, Raleigh Hills and Raleigh Park. Chehalem, Fir Grove, Hiteon, Sexton Mtn (east of Murray Blvd) and Vose. Boys and girls not playing high school soccer can register for the recreational coed soccer league. Check with the youth league in your elementary attendance area. If the league does not offer registration for high school, go to the next closest attendance area club. Boys and girls, all age groups, interested in playing year round for competitive soccer. Tryouts will be held in May. Contact the appropriate club representative for more tryout information. Referee classes will be held this summer.